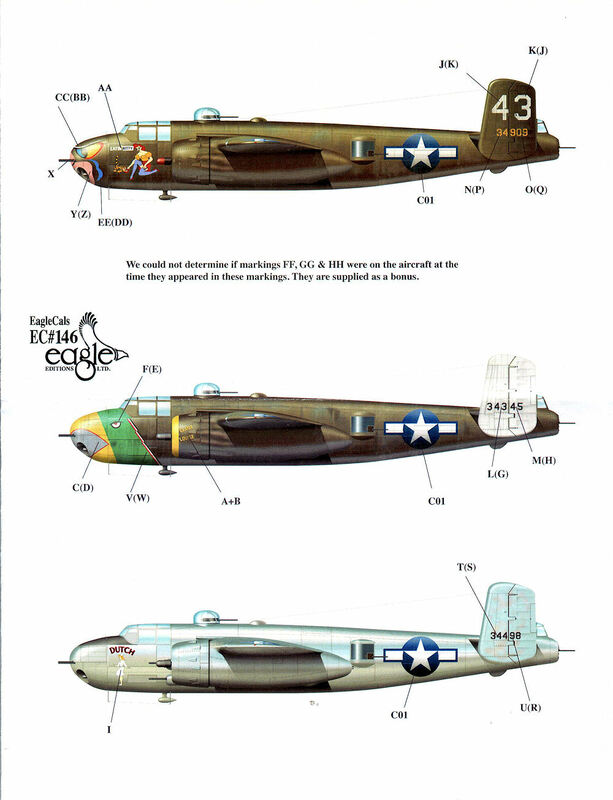 Product provided by: Eagle Editions Ltd.
Eagle Editions' newest decal release is three choices for the yet-to-be-released HK Models' 1/32nd B-25H. This version of the B-25 will have a 75mm canon in the nose along with the remainder of the cheek guns, turret, and all the aft guns. The H version also required a cockpit design due to the shorter nose and length of the canon which made the designers relocate the topside gun turret more toward the nose. This accounted for the visual changes to the exterior. The plane was designed to strafe and hit targets with its forward facing guns and cannon. In practice, the slow fire rate of the cannon compared to the guns meant that the previous strafe versions ended up doing the same or more damage. 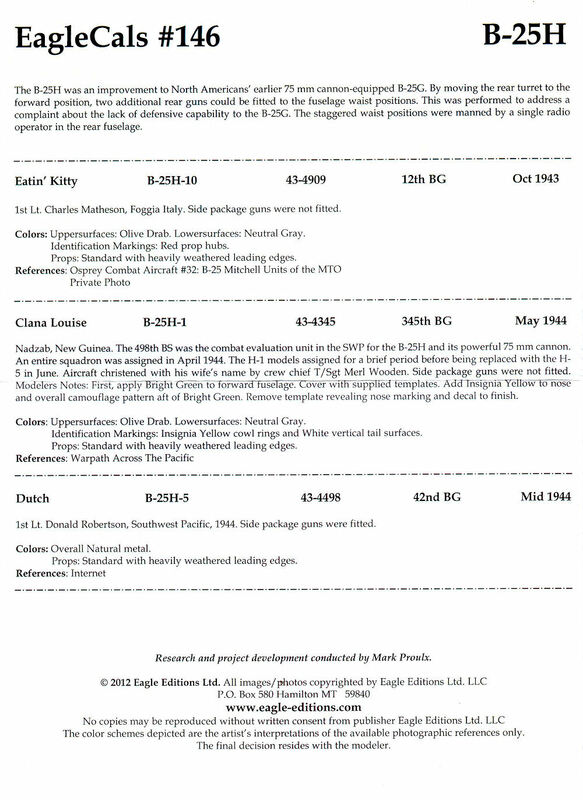 The package includes a full color sheet which includes histories of the planes and pertinent modeling information, including notes on the pilots and planes. 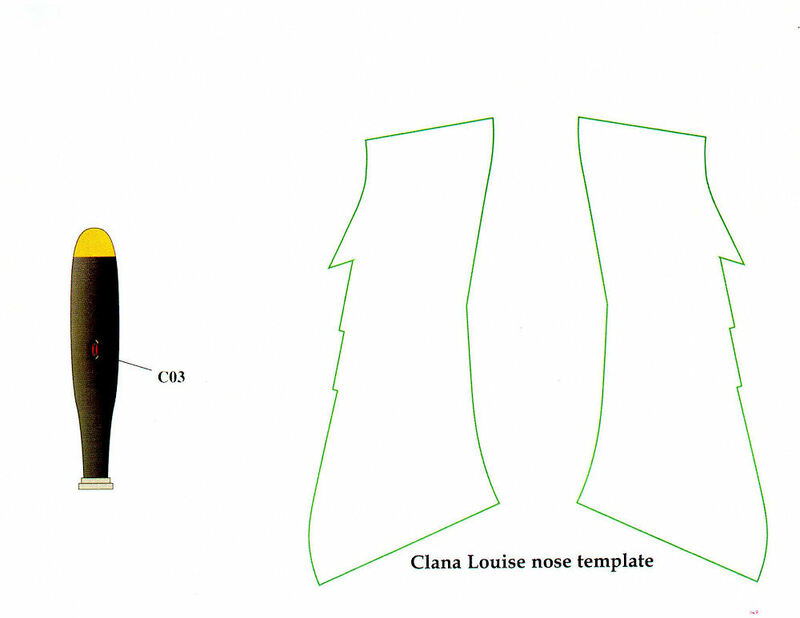 The instruction sheet also includes color call outs, decal placement, and a masking stencil layout for doing Clana Louise which has a parrot head and will need to be masked prior to painting. There are two separate decals sheets. The first includes national insignia and propeller markings and notes the difference in national insignia colors. 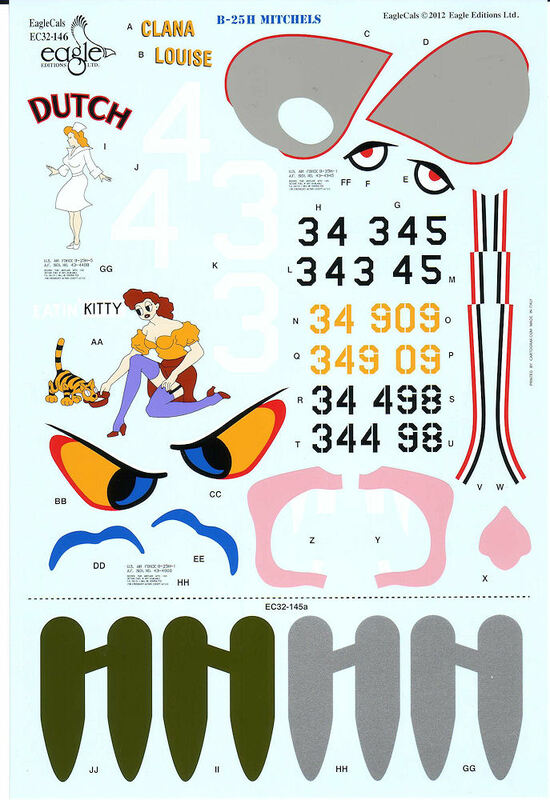 The second sheet contains all the needed markings for each plane, including nose art, build numbers, and also decals to show where the missing side cheek gun packs were located. These were removed on two of the planes and this allows the look of faded areas where the guns were removed. The decal printing is first-rate with excellent register and color. I have used Eagle Editions decals in the past and they worked wonderfully with the MicroSol/MicroSet system. I think Jerry and Judy Crandall, researcher Mark Proulx, and the rest of their company have another hit on their hands and I can't wait for the B-25H to come out, as this gives modelers a great set of well-researched choices for a very reasonable price. 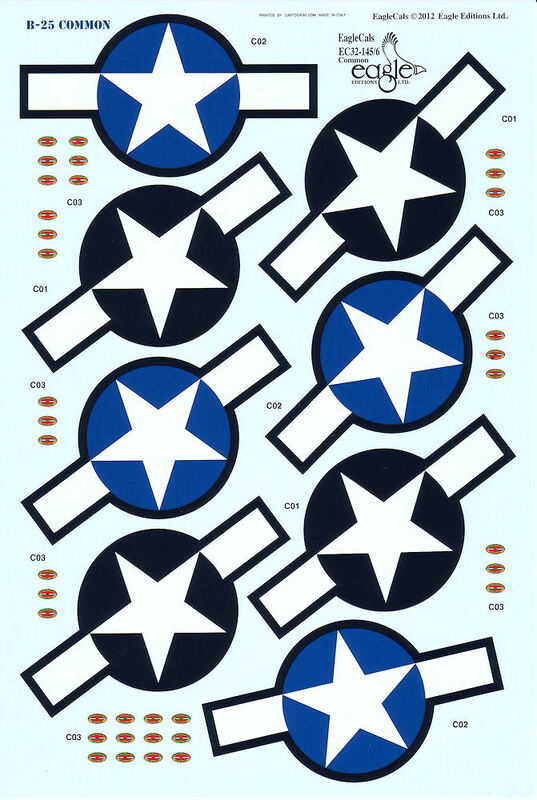 My thanks to Eagle Editions for the chance to review this excellent set of markings and IPMS-USA for a place to do it.